MrSpeakers ETHER 2 headphone is the all-new top of the line open-back planar magnetic headphone from MrSpeakers with a new driver, motor, baffle, and headband all designed to synergistically blend stunningly lifelike sound with the industry-leading comfort and reliability that are the hallmarks of MrSpeakers' products. ETHER 2 has an entirely new motor designed around the concept of TrueFlow technology. Instead of designing TrueFlow into the motor, they have designed the motor around the TrueFlow technology to realize a major improvement in linearity, dynamics, and detail. And they didn’t stop there. To make the most of the increased resolution of the motor MrSpeakers developed an all-new diaphragm that’s 70% less aluminum trace weight than the original ETHER driver. As a result, ETHER 2 delivers incredible clarity, powerful, fast bass, liquid mids, and a smooth, balanced top end that’s incredibly resolving yet not at all bright to deliver a coherent, dynamic and remarkably balanced performance. 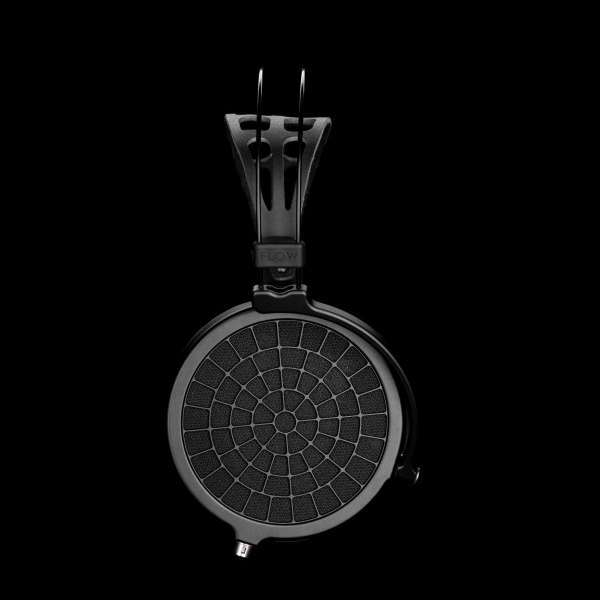 ETHER 2 sports an all-metal headphone cup and headband, with a carbon fiber driver baffle, so it’s built to last, in style. 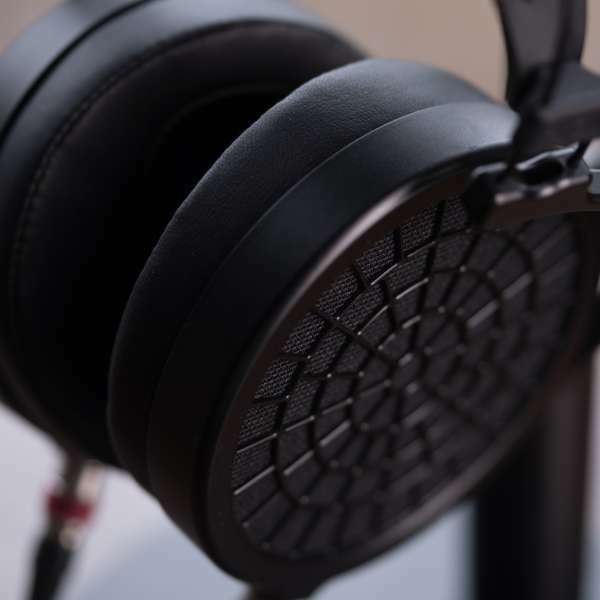 At under 290 gramms, ETHER 2 is not only the lightest full size planar magnetic headphone on the market and it may be the lightest top-of-the-line headphone from any high-end vendor. 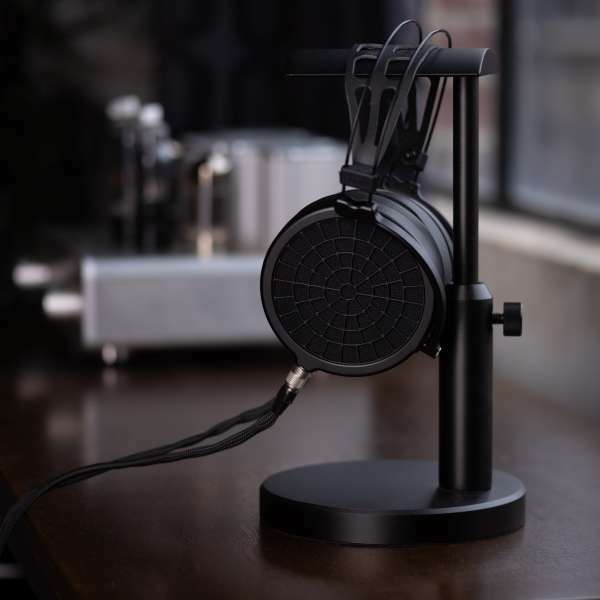 MrSpeakers didn’t stop at upgrades to the headphone, either. While there original DUM (Distinctly Un-Magical) cable was a great performer, it was a bit stiffer and more microphonic than they wanted, so they set out to upgrade the cable. Meet VIVO, MrSpeakers new flagship cable! For sound quality, this fully-custom cable design incorporates silver plated OFHC copper and top-quality connectors available in 6’ and 10’ 1/4” and 4-pin XLR terminations, and portable-friendly 3.5’ 2.5, 3.5, and 4.4mm cables. VIVO projects a wide open and holographic soundstage with precise imaging and tons of smooth detail. Designed, built and tested in San Diego, CA, Ether 2 offers a 2 year warranty for parts and labour.